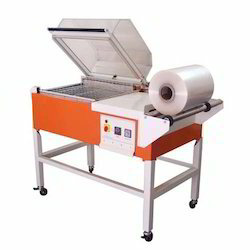 Prominent & Leading Exporter from Delhi, we offer shrink wrapping machine. We are engaged in providing superior quality Shrink Wrapping Machine. The machine adopts imported touching screen on which all settings and operation can be done. Moreover, various product data can be stored in advance, and the operator only to select parameters from the computer while usage. With the aid of our vendors technologically advanced manufacturing unit, we are able to provide our clients a wide array of Shrink Wrapping Machine. It contains temperature controller for temp. adjustment. Sealing blade temperature is extremely sensitive and accurate and we can be arbitrarily set the machine as per requirements. Double Mode - Only Sealing / Sealing, cutting & shrinking together. 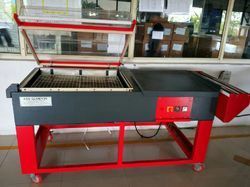 Looking for Chamber Shrink Wrapping Machine ?